We have some great news! 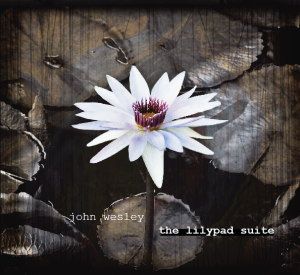 Today we would like to announce the release of the lilypad suite. the lilypad suite is a six-song collection that was written over the last few years and recorded over the last few weeks here in Tampa at RedRoom Recorders. Over the last few years I have been writing songs to put into my next full-length album, Disconnect which should be finished in the summer. As I was writing the songs that would be a part of my next album, Disconnect. I noticed a consistent theme running through several of them. I assembled those songs, got the team together and decided that we would record them and release them as a separate collection. This collection has become the lilypad suite. the lilypad suite is a collection of songs inspired by the struggle of a young girl to come to terms with the absence of her father. The character of “lilypad” is an amalgam of several people who, through the years, have shared with me the stories of their journeys from loss into understanding. The album was produced and co-written by Dean Tidey. Dean’s experience on the London session scene and as a touring sideman for Feeder the past several years was invaluable in pushing Mark and I to try new ideas and take the songs into some amazing places. Dean also contributes a really unique set of guitar skills that fit into the songs and the live set and give even our older material a fresh and new sound. Long time co-conspirator Mark Prator is on drums and engineered on the album as well, Mark really pushed into some new territories in his playing on this set of songs. Joining us on bass and engineering as well is Travis Hearne. Andy Irvine also contributed bass to two tracks. The mixing and mastering was handled by UK based Grammy winning engineer, Steven Orchard. http://www.steveorchard.com/ I can’t even begin to describe Steve’s resume, as he’s worked with so many outstanding artists — Chris Cornell, U2, Jeff Beck, Kate Bush, just to name a few. We have a common link as Steve did a good portion of engineering on the last Porcupine Tree album. Steve and Dean had worked together many times before and as we recorded the songs, Dean was able to guide us into adding elements that he knew Steve would be able to make special use of, and their years of working together really helped to take the mixing of this set of songs to a new level. The album is available as of today for immediate download and the physical cd is available for pre-order. 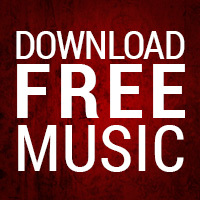 You can preview the tracks or purchase the album in my shop.